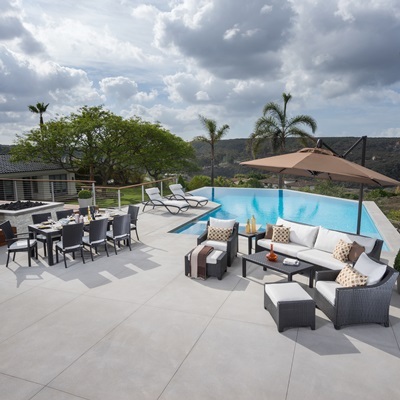 Great outdoor seating transports you to a place where you can unwind and completely relax. 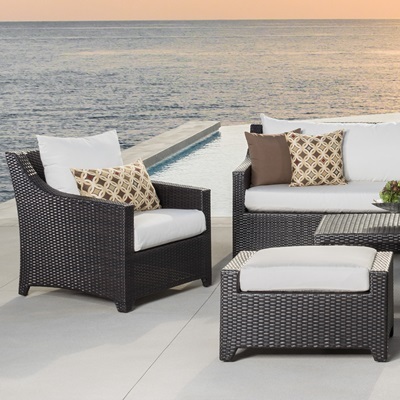 These outdoor armless chairs are a perfect way to expand your sofa or give length to your corner seating set, and add a contemporary yet timeless style to your patio. The aluminum frame is lightweight to make it easy to move about, and durable to last for years of enjoyment. Set includes two armless chairs with four coordinated accent pillows. 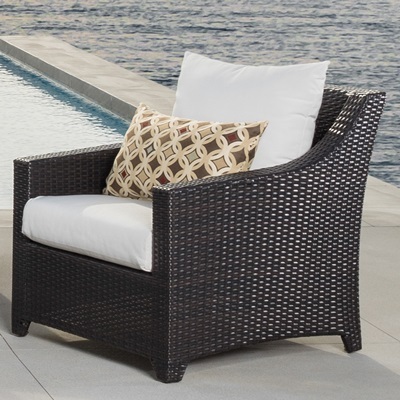 Hand-woven SolarFast® resin wicker in rich Espresso weave is UV, weather, and water-resistant. Seating set comes fully assembled upon delivery, with minor cushion cover connection required.